Our series Label Love highlights (newly discovered) independent record labels. Q&A’s focused on the people behind the label, new music, and the struggles that come with running a DIY-imprint. 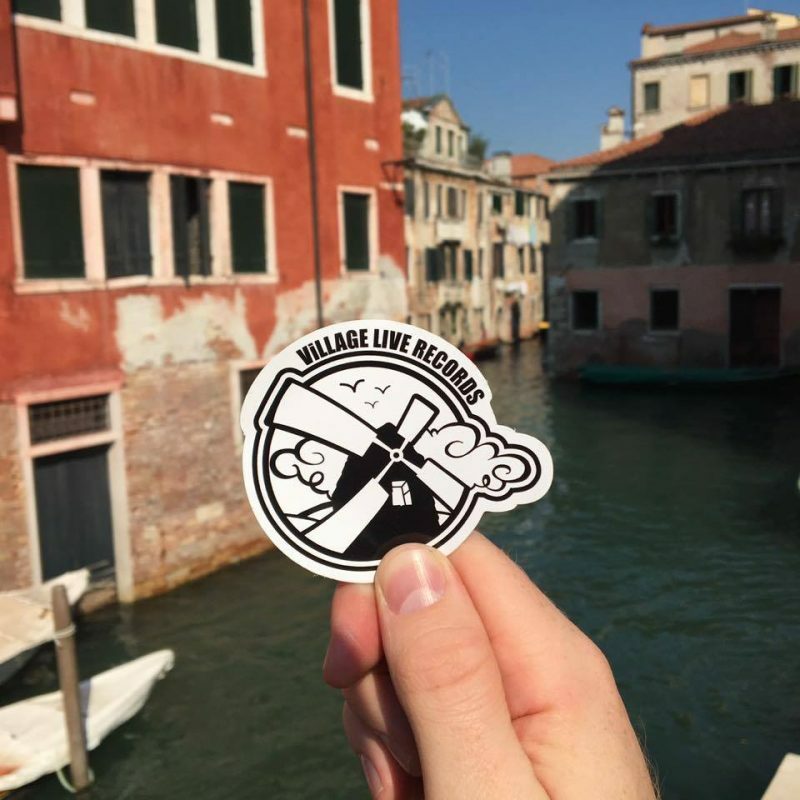 “Live from the village,” founded in 2015 by record collector Joey Deez and producer Remulak: UK label Village Live Records offers a cutting-edge mix of styles, including hip-hop, jazz, and beats. Releases by the likes of Robohands, KLIM Beats, Aver, Ded Tebiase, Gas-Lab & Traum Diggs. Is running Village Live Records a full-time endeavor, or what do you do for a living? 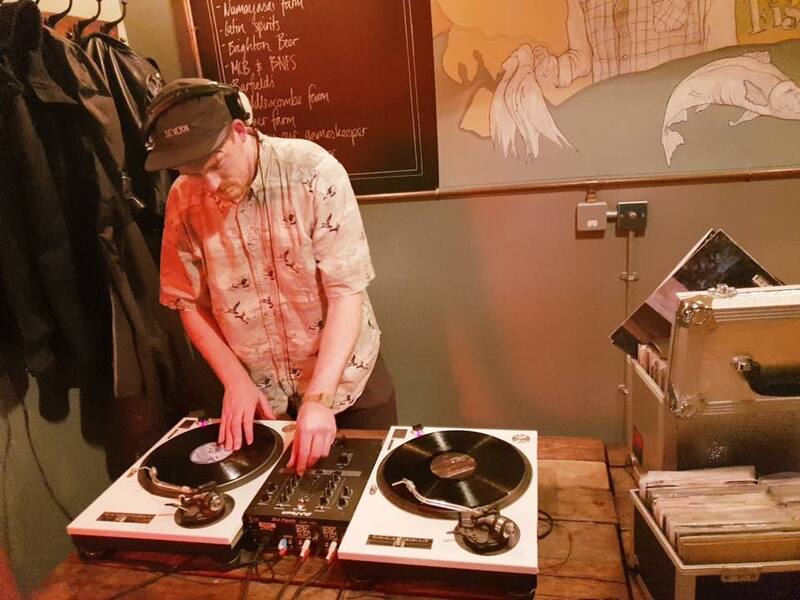 Joey Deez: I’m currently in Brighton working at a record shop called Rarekind Records (check them out), besides running the label with Remulak. And I’m doing a bit of bartending here and there. Remulak: My full-time work now is running the record label and pushing my own personal music and design work. In December 2017 I made the decision to leave my career as a chef and take a leap of faith into self-employment. So far so good as I have survived my first year! So what did you do before starting the label? 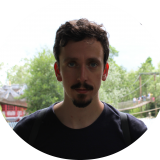 JD: I grew up in a small village just outside of Cambridge, worked in advertising sales at a local newspaper for years and then worked at and managed a restaurant for a while. During a lot of that time, I was also writing for Wordplay Magazine. R: My background is in Art, which I studied at University. After that, I decided to go and work as a chef, which I did for many years while producing music in my spare time. Sometimes in the kitchens I worked at. In my last job, I was fortunate enough to be able to have my laptop in the kitchen to “listen to music.” I often took this opportunity to sketch out ideas for tracks when there were no food orders on! In fact, the Village Live Records website was set up while I was at work in a kitchen. R: I had a few projects I was working on that I was pitching to labels, but nothing came to fruition with them. I had two specific tracks that I was very keen to release on vinyl and they were ready to drop. The first was by my personal favorite UK rapper, Cappo. And the second was from the UK veteran, Lewis Parker. Both of these artists I had grown up listening to and I really wanted to do the tracks justice by releasing on a physical format. After several discussions with Joe about what I could do, we had a lightning bolt moment and thought, “shall we just release this ourselves?” I was just frustrated to be in the situation where I knew I had a very strong product to release but was unable to find a label who either believed in my music or was keen to release it anytime soon. JD: Village Live has been my crew’s name since 2008. Then Ded Tebiase hit us up with an album he was working on which blew us away. So we dropped that and that sold out quick, and it’s just naturally developed from there. The last few years there’s been a big boom of new independent labels. What do you aim to add to the vast world of indie labels with Village Live Records? R: If it creates an emotional response for me, then I would love to support that artist or band to get them some exposure. It has to make me feel something. Joe and I have very eclectic tastes in music so anything goes, really. And as I’ve been a producer since about 1999, I can’t help but compare them to my own production techniques and skill limitations. If I hear something and think, “How have they got their drums sounding so huge?”, or “This person really knows their sound/craft”, then I’m instantly interested in hearing more. JD: It’s great working with different artists and photographers to hopefully produce something that looks good and stands out when you see it on the shelf in a record shop or on social media. Can you share any examples of that? R: The first time I heard the demos that Robohands sent us, and all of the hairs on my arm stood on end. When you get that kind of response from music, then you know you’re onto something special. Or like when I first stumbled across Aver’s Bandcamp page years back to check one of his beat projects and was instantly transported back in time to an era when Mo’ Wax was releasing incredible hip-hop/trip-hop records. Aver’s broken drum programming is incredible. Village Live’s catalog is quite diverse. From a jazz album like Robohands’ Green to a more traditional jazz-hop album by Gas-Lab & Traum Diggs, to name a few examples. Where do you put Village Live Records on the musical spectrum? 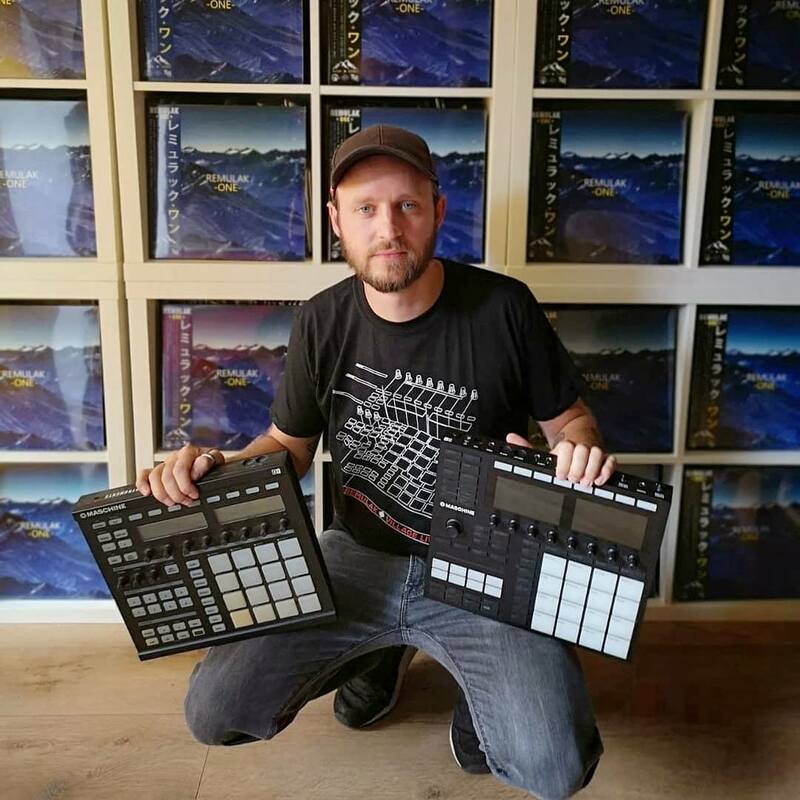 JD: I’d definitely say labels like Stones Throw and Mo’ Wax are an inspiration and proof that you don’t need to stick to one specific genre or sound and that a label can play the role of a tastemaker. We both listen to a wide range of different genres and try to reflect this with our output. Often our releases will suit the time of year we drop them too. We try to drop the darker, heavier stuff in winter and the smooth, easier-on-the-ear stuff in Spring/Summer. R: Anything goes as far as I’m concerned! There are very few genres of music that I don’t like. I dream of the day somebody sends us a Nu-Metal album that sounds like Korn from 1998 [laughs]. What are your time management secrets? How do you manage to work, make music AND run a label?! R: As I make music full time as well as the label, my time can often be quite limited. If it wasn’t for my diary, I’m not sure what I would do, really. I’m forever writing things down that need to be done. Aside from that, Joe and I live 150 miles from each other, so we speak every day on messenger to check what needs to be done. The secret would just be to communicate and crack on while working around each other’s different schedules. Are you a record collector yourself? How does your collection look like? JD: By working in a record shop and running a label I’m constantly exposed to a lot of records. That’s both a gift and a curse. My records are mostly kept in a spare room but at the moment spill out into the hallway and living room. There’s currently about 4.000-5.000 in there. Mostly made up of jazz, funk, soul, prog, soundtracks–and I’m constantly searching for drum breaks so that section’s ever-expanding, and of course there’s a lot of hip-hop in the stash. R: I wouldn’t class myself as a collector as such. But I do have a fair few records of various genres. I’ve been buying records since about 1998 when I was 17 years old. It all started with buying indie/rock 7”s. Over the years that developed into metal, hip-hop, drum and bass. And anything I could find in charity shops that I could sample for my own music production. I would say now I probably have over a thousand records that I keep in my studio.